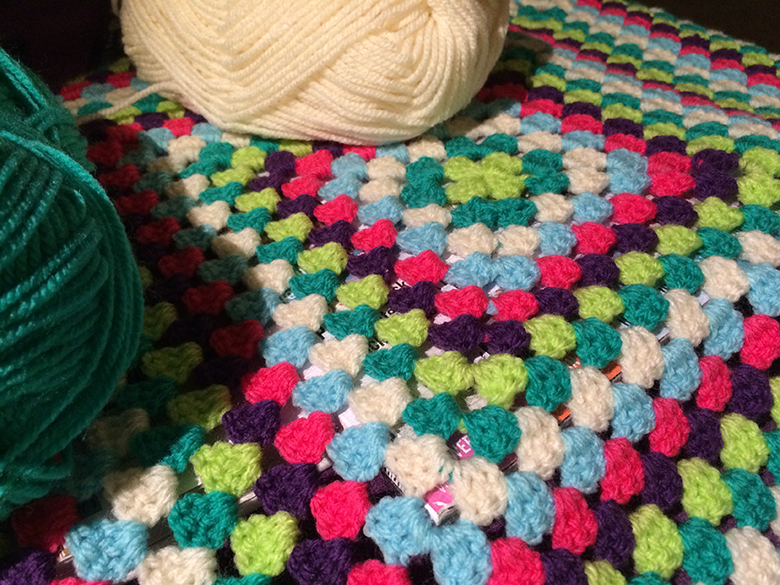 I’m not really a big fan of the granny square (preferring a more contemporary crochet look) but recently I got the bug to give it a try. I’d bought six 100g balls of Woolcraft DK yarn in various colours and was looking for a suitable project. 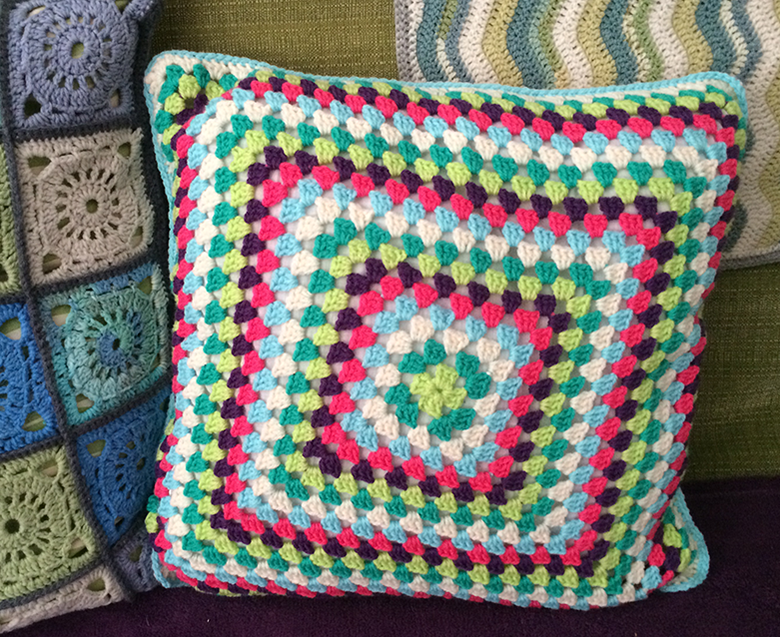 I had a spare cushion inner that I wanted to cover and I followed a pattern that I’d found in one of my crochet books. Once I’d made several rounds I noticed that the square was developing a slight twist. This, apparently, was due to me adding an extra chain between the granny triangles and extra chains on the corners doh! Once I stopped doing this the shape became more square (note to self). For the back of the cushion I had planned to make this quite plain, using treble stitches in the cream. However, as I had only bought one ball of each colour I soon realised that I was going to run out of cream. 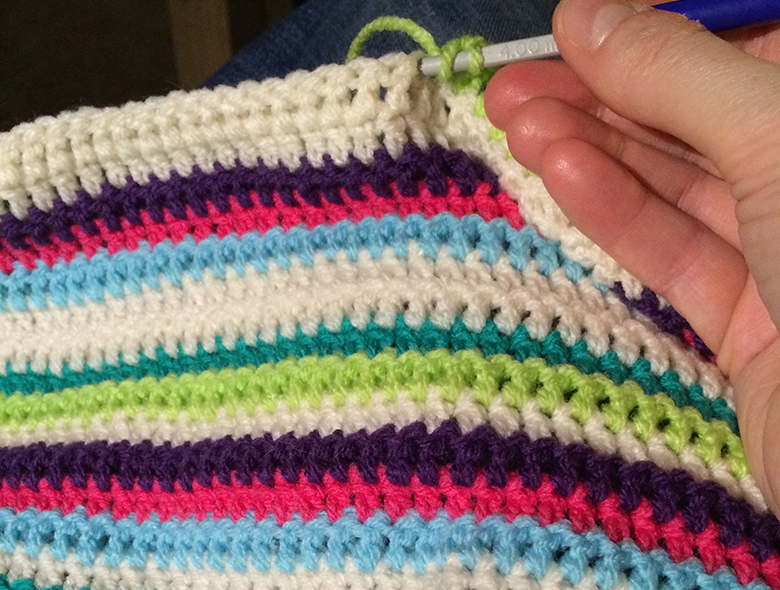 I opted to add a row of stripes to the middle of the cushion and then I could finish off with cream. 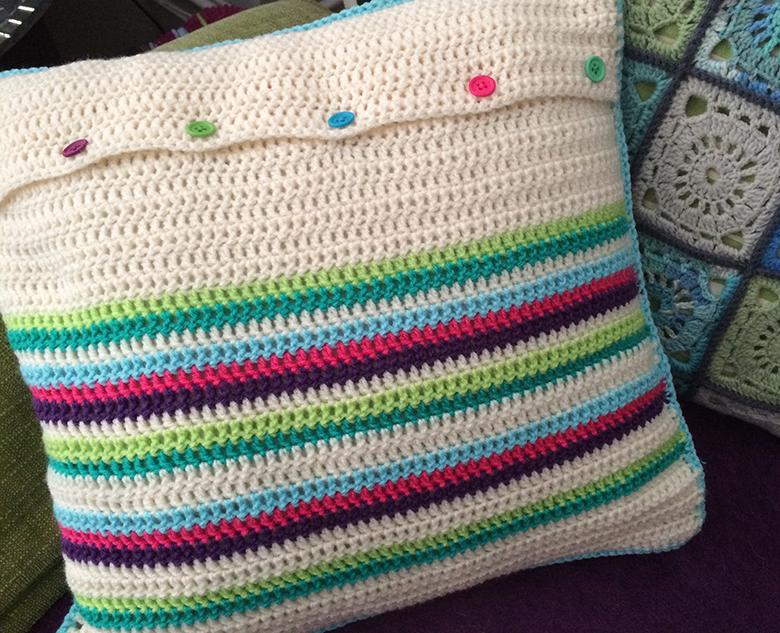 My preferred style for the back of a cushion is to create a flap that is closed with buttons. In my button stash I found a selection of colourful ‘smartie’ buttons that were a really good match. I positioned and stitched these in place.